We value the relationships we form with our clients & their families. Managing wealth and seeking to meet the diverse needs of high net worth families across generations is challenging but satisfying. Different families have different needs. Many need assistance with the fundamentals, such as taxes, insurance, bills and budgeting, while others also seek guidance related to the wider spectrum of their family’s wealth management, such as preparing heirs for their legacy and philanthropic planning. Our definition of success is when we help make negotiating this terrain easier and clearer for our clients and their loved ones. We have access to some of the best minds, research and investment choices in the industry. Together, we can use these resources to make informed choices about your family’s wealth and, most importantly, your family’s future. The stewardship of family wealth can require a great deal of effort from families. Our role is to make this responsibility easier for you. We will not only help you define your family’s particular concerns, aspirations and goals, but we will also strategize and implement a clear course to help position your family now and for the future you seek. For twenty years, this has been our mission, and we are honored by the trust our clients have placed in us. Please contact us so we can begin focusing on your family and your wealth management needs today. Tricia O’Neil is a Senior Vice President, Financial Advisor and Family Wealth Director at Morgan Stanley. 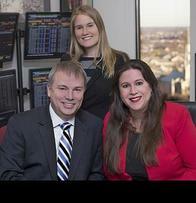 She focuses on developing investment strategies for high net worth families. Tricia began her career in the financial industry in 1992 at U.S. Trust/Campbell, Cowperthwait. She worked as a Junior Financial Analyst for four years, where she learned to effectively implement portfolio strategy. In 1997, her business acumen and dedication to clients earned her a position with The Providence Group, which became BNY Mellon, serving as a Vice President and Portfolio Manager. With more than twenty years of experience in the financial industry, Tricia has a depth of knowledge that enables her to provide dedicated and competent service to clients. Tricia furthered her credentials by earning the Chartered Financial Analyst designation. The CFA designation takes years of hard work and diligent study to achieve, and it is a perfect example of her dedication to ethical and exemplary work. In her free time she enjoys reading, spending time with her family, researching genealogy, and watching the Buffalo Bills. Robert Richardson is a Vice President and Financial Advisor at Morgan Stanley. He focuses on wealth, taxation and generational planning strategies for high net worth families. 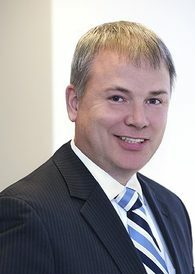 After receiving his bachelor’s degree in accounting from Bryant College, Rob joined Price Waterhouse in 1994. He became a certified public accountant (currently not practicing) in 1997 while working at Kahn, Litwin & Co. and earned his master’s degree in taxation in 2005 from Bryant University. In 2006, he joined Smith Barney as the Tax and Business Valuation specialist in the New England Region’s High Net Worth Planning Center in Boston, MA. He joined Merrill Lynch in 2008, beginning his career as a Financial Advisor. He became a Certified Financial Planner ® in 2009. Rob joined Morgan Stanley’s management team in 2011. In 2013, after serving as an advisor and manager, Rob decided to exclusively focus on his advisory business. In his free time he enjoys spending time with his wife and three children, playing golf at Kirkbrae Country Club and traveling, especially to Disney World. Rob is also the past President of the Smithfield Rotary Club. Chelsea Soule is a Portfolio Associate at Morgan Stanley. Having worked with Tricia and her clients for over ten years, Chelsea is an integral part of the team, assisting in the management of families day-to-day investment and administrative needs. 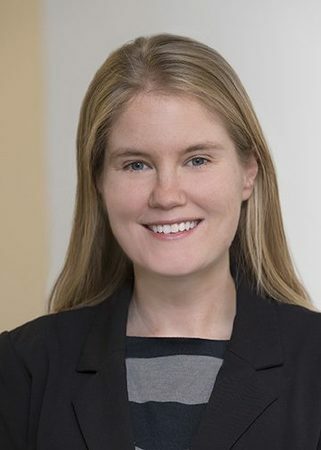 After receiving her bachelors degree in business administration from the University of Rhode Island, Chelsea joined The Providence Group (which became BNY Mellon) as a Portfolio Administrator. Diligent and committed to excellence, she simultaneously worked while earning a masters degree in business administration from the University of Rhode Island. 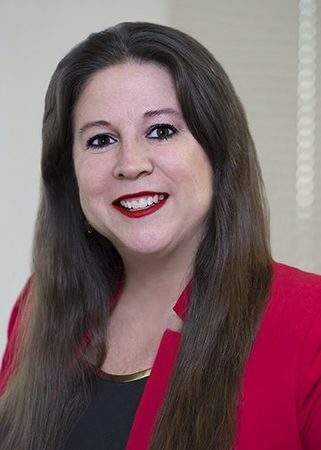 Chelsea joined Morgan Stanley in 2013 as a Client Service Associate, where she remains dedicated to providing competent and helpful service to the firms clients. Chelsea enjoys spending time sailing and traveling with her husband and two daughters. She also enjoys playing in the Rhode Island Womens Soccer League.